With “Dodgy Dave” (David Cameron) out of the spotlight after the unexpected result of the Brexit referendum in 2016, a new protagonist arises out of the ranks from the Tories. Following the 2016 Conservative Party leadership election, Theresa May assumed the mantle as Prime Minister (PM) of the United Kingdom (UK). She has established herself as the appropriate authority figure to spearhead the UK through the turbulent and unforeseeable epoch in an effort to establish new relations with the European Union (EU). However, since her first day as PM, May has received endless waves of criticism for her deplorable and inefficacious negotiations with the EU. Perhaps most tendentious of all is the formal triggering of Article 50; both parties must complete trade negotiations within the time frame of two years. 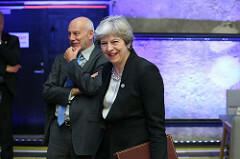 Aside from international affairs, domestic issues also gave voice to opposition against May, for instance she was accused of “chaos, confusion and indecision” after pulling a “U-turn” from her party’s manifesto where she imposed a cap on the amount of money people would have to pay for social care that was publicly denounced as a “dementia tax”. The conservative manifesto does not mention any cap limit whatsoever and May failed to provide exact details on the level of the cap. Polly Toynbee, a well-respected columnist from the Guardian, has been one of many prominent voices whom have spoken out against May; in a recent op-ed she has accused May of being a “tactless, inept, humiliated prime minster”. As much resentment as Toynbee has, she nonetheless admits that May “will be the only thing keeping this nation on the plank it is walking”. What strategies will May be required to adopt in order to keep the UK from falling overboard? Perhaps a consultation with Machiavell’s The Prince can shed light on important lessons that May could learn. The Prince, considered to be Niccolo Machiavelli’s most influential, and extremely controversial, political treatise was originally intended for Lorenzo de Medici as a gift to help him rise to prominence. The Prince itself has been read by numerous of individuals and is considered to be a fundamental and essential work in political philosophy. 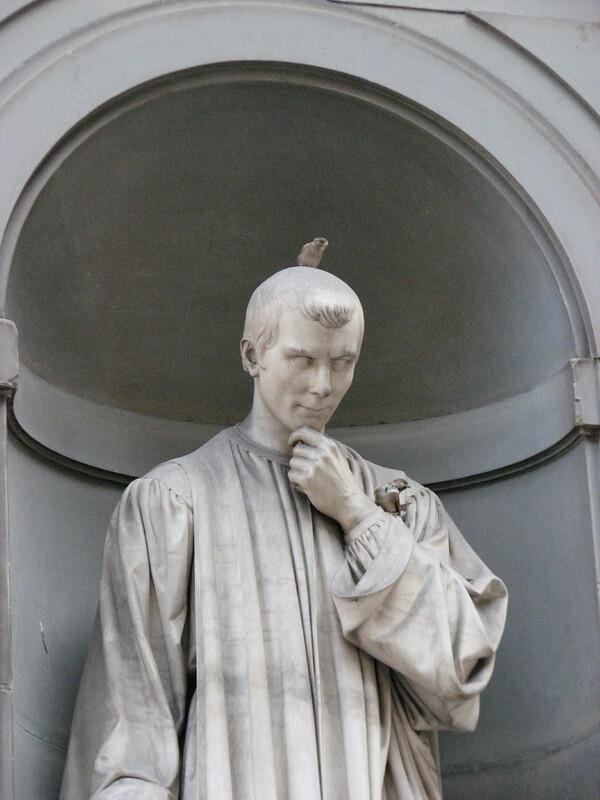 In his treatise, Machiavelli challenges the divine scholastic teachings and ethics of the Catholic Church; his methodological approach is most notable of all, as he introduces a dichotomy between politics and ethics. Traditional political systems argue that the political and ethical are deeply intertwined together; opposing this notion, Machiavelli alienates the two concepts from each other and creates a realpolitik imagery of politics. “When you see a minister thinking more of himself than of you, and seeking his own profit in everything he does, such a one will never be a good minister, you will never be able to trust him”. Within May’s own party, internal divisions are prevalent and extensive. Senior ranks among the Tories have questioned May’s ability to be a competent and reliable leader. May’s refusal to sack the foreign secretary “BoJo” (Boris Johnson) from his position reflects her lack of willingness and capability to unite the conservative party. More importantly, it portrays May as a weak and disgraceful leader through the eyes of her own party members, unwilling to act on the interests of her constituents. BoJo has acquired a negative and egregious reputation as a figure who cannot be trusted and acts based on the sole interests of himself instead of the government or the people. Keeping him on board would only perpetuate the internal tensions among the Tories that serve to diminish her already tarnished reputation. May must tread carefully as her reputation is on the line. She must unify the conservatives into a collective front, as failure to do so would only increase the resentment against her. Just as Machiavelli said, “it is much safer for the prince to be feared than loved, but he ought to avoid making himself hated”. It is clear that May is neither feared nor loved; she has only acquired hatred from her fellow party members. Another important lesson that May should consult is the persona of a leader. Machiavelli stresses the importance of projecting a strong and competent public image that leaders must have in order to sustain their authority. It is important to portray an image of yourself with certain characteristics that good leaders have even if you do not actually have them. May’s public image has been deteriorated into a laughingstock by the public media. Just recently, Jean-Claude Junker, the current President of the European Commission, leaked information to multiple channels that May had begged him for help with Brexit negotiations; she appeared to be extremely anxious and distressed. This has raised concern and doubt over May’s ability to establish any deal whatsoever with the EU. In addition, her performance at the 2017 Conservative Party conference while delivering a speech has been mocked by commentators after she was interrupted by a prankster and failed to deliver her message to the audience. To make matters worse, May’s public image further deteriorated after her interview on BBC Newsnight with Emily Maitlis. During the interview she expressed a lack of empathy towards the victims of the Grenfell fire and failed to respond to the questions directly, instead attempting to avoid them. May’s failure to portray herself with the necessary characteristics of a good leader even if she lacks such characteristics only further diminishes her as a competent and reputable PM. As a consequence she loses the support from not just her party but the people themselves as well; the international stage will not take her seriously. May must reconfigure her public image if she hopes to regain support from the public masses. 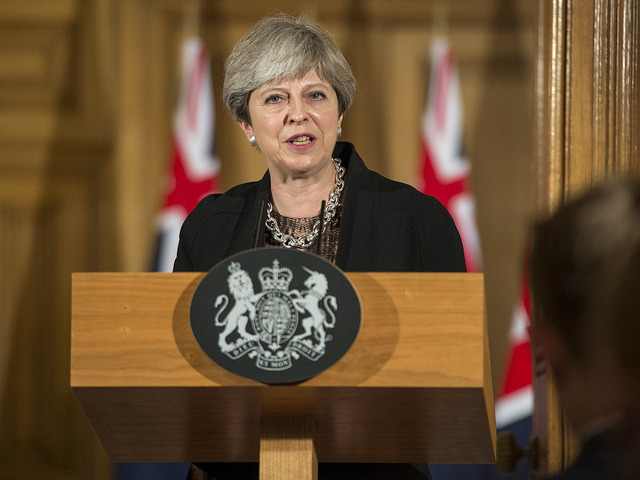 Most important of all, May should consider Machiavelli’s warning that “there is nothing more difficult to plan, more doubtful of success, nor more dangerous to manage, than the creation of a new system.” Brexit undoubtedly is May’s greatest challenge; uncertainty and fear resonate among the government and the people, with the repercussions yet to transpire. May must stride carefully as the implications of Brexit would definitely entail substantive changes that would impact the daily lives of the public masses. Progress has been extremely slow and has reached a state of deadlock; prospects of finalised negotiations within the two-year period are highly doubtful. In an effort to speed up the process, May has been accused of a private agreement to pay more money (up to €20bn) to the EU just to speed up the talks. As a consequence, resentment and doubts of her loyalty increase both from her own party and members of the public. She must recognise one of Machiavelli’s important teachings, that there are “two things a prince should fear: internal subversion from his subjects; and external aggression by foreign powers”. May is at a crossroads whereby regardless of her decision, she will face severe consequences from both. If she does not agree to pay more money to the EU, negotiations will only continue at a deadlock, and time is clearly not on her side. On the other hand, if she does comply with the EU’s demand then internal subversion is right around the corner of Downing Street. As negotiations continue, the challenges ahead remain concealed; in this situation Machiavelli would probably advise May on his lion and fox metaphor. “A prince therefore, who is forced to act like beast, ought to learn from the fox and the lion; because the lion cannot defend himself against traps, and the fox cannot defend himself against wolves”. A fox has the ability to recognise traps which a lion could not; however, a lion can fight off against its enemies but fails to foresee traps. May must learn to be adaptable and pragmatic when dealing with Brexit talks. This metaphor is one of many controversial teachings that Machiavelli contends; it is important to realise that while breaking promises is legitimate, he is not arguing that breaking promises is always right all the time. Rather, deception and lies are only permissible based on the circumstances and justification. May has made countless promises that she will deliver the interests of her party and the nation; however, whether or not she will retain such promises is highly doubtful. If she does not then whatever justification she provides is also highly precarious. Despite heavy criticism against May’s leadership ability, she is currently the only person who can keep the UK steady as she goes. If she hopes to retain her status and loyal constituents, a consultation with The Prince would be beneficial towards her maintenance of power.